Earlier this week, we reported that Acura's flagship sedan, the RL, was outsold by some pretty exotic metal including the Mitsubishi i-MiEV, the Mercedes-Benz SLS AMG, the Audi R8, and the Nissan GT-R.
How many is that, exactly? According to this press release, they sold 34 RLs in the U.S. last month. You read that right: 34. I think all of us can agree that when your flagship luxury family sedan is outsold by an obscure electric car and three extreme sports cars, you're doing it wrong. It's actually a bit of a shame, what's happening to the RL. It's far from being a bad car. Everyone I know who has driven one or ridden in one has been impressed with it. Nearly every review I've read has praised its engine and handling, even while noting the car's overall boring-ness. 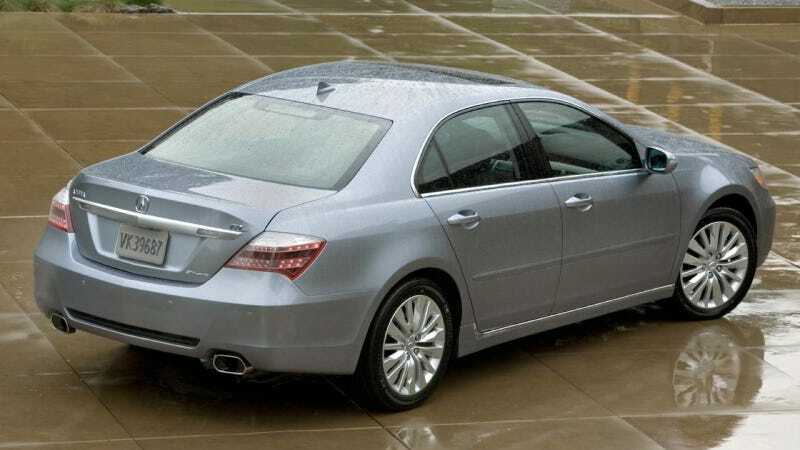 It used to be that Acura was criticized for its use of front wheel drive and V6 engines instead of competitors' rear wheel drive and V8 powertrains. I feel like that's not as valid a complaint anymore, since Acura uses a pretty impressive all wheel drive system and every carmaker seems to be downsizing their engines. But although Acura reported a respectable 14,366 cars sold in September, an increase of 43.5 percent over last year, they still lagged behind the competition at BMW, Lexus and Mercedes. So it's clear that Acura seems to be flagging a bit, especially at the top with the RL. The new ILX didn't exactly light up the sales charts last month either. That's why I want to ask you guys: what must Acura do to turn it around? Do they need to replace the staid styling and goofy grille on their cars? Do they need a new halo at the top to bring buyers to the showrooms, like the NSX? How about the oft-rumored baby NSX? The floor is yours, Jalops. Tell us what Acura must do to make a comeback.